4 teams, 2 goals and 1 global community. Teams: New York Design Factory, Inno.Space Mannheim, Porto Design Factory and Design Factory Melbourne at IdeaSquare, CERN. The last two weeks have been a bundle of unforgettable memories for team Spring. We were delighted to be a part of the IdeaSquare family where we finally met our peers from Design Factory New York, Mannheim and Porto. Now a strong community, this Challenge-Based Innovation (CBI) family empowers us to think and dream big. 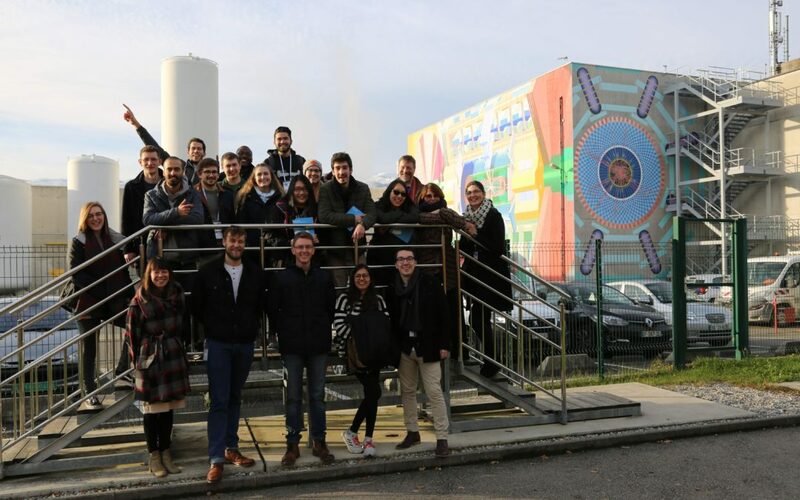 Over the last two weeks at IdeaSquare in CERN, each team worked on ideas with the potential to solve problems related to water in their respective cities. Each idea was then prototyped. The feedback received from our peers and coaches helped us bridge gaps in the ideas. Apart from ideation sessions, we were lucky to hear talks by Neal Stone of leapSTONE about design thinking, Geneva Guerin of CERN on sustainability and systemic change, Dr. Markus Nordberg of IdeaSquare on technology and transformative change, and Ranveig Strom of the Knowledge Transfer office on their role, particularly in building entrepreneurship, Kali Taylor of the SDG Lab who spoke about the Sustainable Development Goals (SDGs) into 2030. Prototyping and presenting one of our many ideas to our peers and coaches at IdeaSquare. We were honoured to discuss our ideas and prototypes with the CERNies. 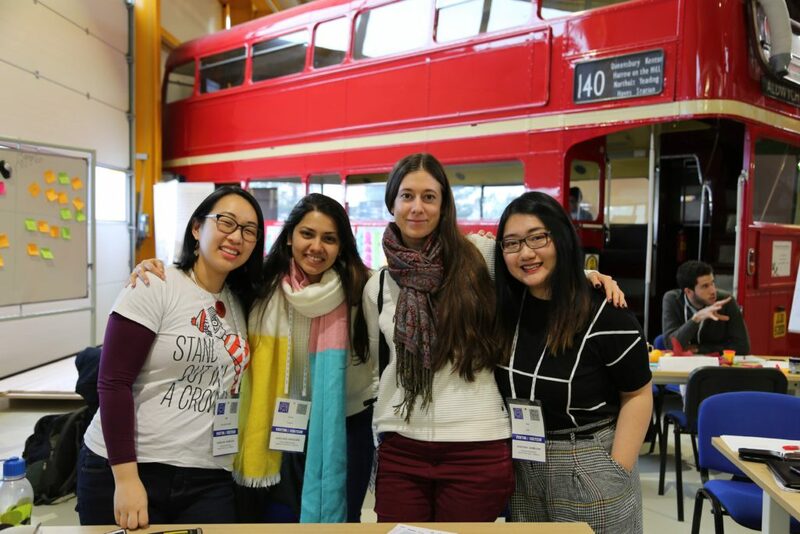 We were tasked with approaching scientists, physicists and engineers in the CERN restaurant which, while initially daunting, was one of the best experiences. Their positivity towards our ideas boosted our confidence and their suggestions and questions gave us a wider scope for further research. We also got to meet our team coach, Kathy, who was a positive boost of energy into the team, helping us come up with a comprehensive prototype concept. Apart from working on our ideas, we were given a chance to tour some parts of CERN, including the Atlas experiment control area, and visit the Microcosm at CERN. At the Microcosm, we saw smaller scale versions of the Large Hadron Collider (LHC). We also saw components of the LHC that helped us understand CERN technology more clearly. The videos and interactive displays helped us visualize what actually goes on in the LHC. We spent two days of our 2 weeks working in the SDG Solution Space at Campus Biotech. Here we developed further ideas and got a chance to visit the United Nations! This was a major highlight of our trip. We were amazed to see the grandiose United Nations architecture as well as magnificent conference rooms. Fortunately, we got to see a live conference at the Geneva headquarters which was super cool! The CBI community outside Campus Biotech. Aside from the overload of ideation, prototyping, and soaking in CERN technology, we thoroughly enjoyed Geneva city. We explored the city on the weekends and devoured a variety of cheeses, breads and wines. A night out with our peers helped us bond together as a community. Our warm-ups organised by different teams every morning were a great energising session to start the hectic day. Random fun and casual hugs, communal dinners, and the tastiest fondue were all a part of our memorable two weeks. In the moment of our weekly warm-up jam! 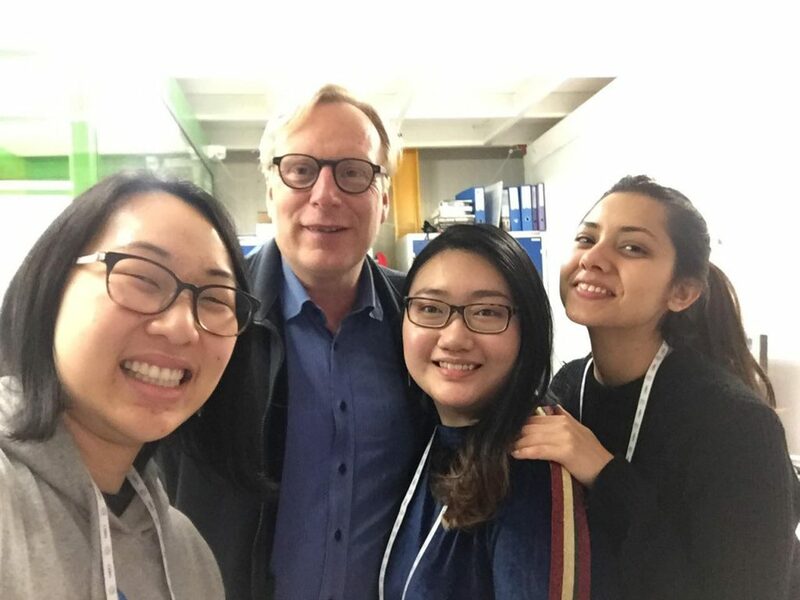 Dr. Markus Nordberg’s talk impressed us on why is it okay to dream big and think big. His talk gave us an insight into why are we who we are. He also allowed us to be optimistic about the world and how we have the potential to change the world. Neal Stone’s talk on designing for users and the importance of prototyping was a good reminder to always start from user needs rather than just making a bigger, better version of what already exists. This was a key success factor in his design of the first ever flatbed chair in business class because users needed to be well-rested after long flights, not necessarily be sitting in a bigger chair. Talking to the CERNies and interviewing them for inputs on our ideas broadened the scope of technologies for us to look at as we were directed to consider nanobubbles, traditional crop rotation, and electrostatic filters, amongst other areas we had not previously come across. Both Geneva Guerin’s and Kali Taylor’s talks on the SDGs aided us to look forward into 2030 and use this to consider what might be the strongest impact in the next few years. Team Spring with advisor Kathi. Together, we are thinking and dreaming big. Individually conduct further research on the ideas we worked on at IdeaSquare. Bridge the gaps that were pointed out by our peers, coaches and CERNies. Go through opportunity areas that we might not have covered in the last two weeks. Narrow down a topic area and technology that we will work on next year and present this before the break.